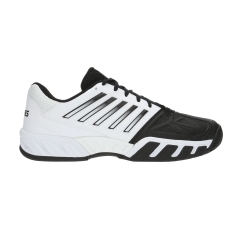 The K-Swiss Hypercourt Express Clay men's tennis shoes are comfortable and stable, adapt to players of all levels. The upper is made with Seamfree technology, an advanced construction method: a state-of-the-art heat welded seamless construction method that bonds layers of TPU onto breathable tech mesh for flexible support without stitching. 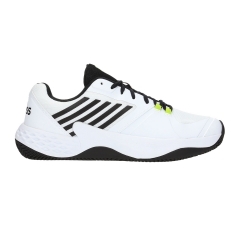 Sole specifically designed for clay courts. Patented Sole with rubber foam that maintains the foots printfor both immediate and long lasting comfort.